How many more people have to die from Lundbeck’s drugs? A mother-of-two hanged herself while her children watched TV downstairs after anti-depressants turned her into a zombie, an inquest heard. A coroner has ordered an urgent investigation into an anti-depressant after it turned a mother-of-two into a ‘zombie’ before she was found hanged in her attic. Housewife Yvonne Woodley, 42, visited six GPs who increased her dosage of Citalopram in the months before her death. But she became more agitated after taking the drug and told people she wanted to die. 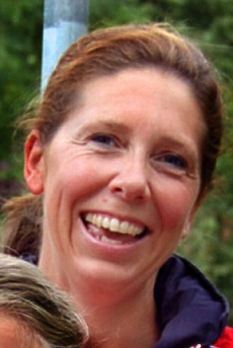 Her husband Kevin found her hanging in the loft of the family home in Solihull, West Midlands, on October 25 last year. Their two daughters, aged ten and 14, were watching TV downstairs at the time. The inquest in Birmingham on Monday heard how Yvonne saw six GPs on nine occasions at Solihull’s Yew Tree Medical Centre last year. Doctors increased the dosage of the drug but her mental state continued to deteriorate. Professor David Healy, an anti-depressants expert at Cardiff University, told the inquest he believed the drug was to blame. He said: ‘I believe the drug was likely to have played a part. Yvonne was clearly suffering adverse effects of the drug and it was this that put her at risk. If treatment was contributing then putting the dosage up wasn’t the thing to do. The inquest heard that the drug was a common anti-depressant which came with a warning about side-effects. The effects include agitation and mental turmoil in the first weeks of treatment and trials showed it could increase the risk of suicide. ‘I don’t think this was the case with Mrs Woodley as I think it was her underlying depressive illness.’ Heard this line before anyone??? When will the Irish Medicines Board listen and how many more people have to die? More doctors who haven’t got a clue about the poison they are prescribing! Partial Transcript of Yvonne Woodley’s Inquest…Link. Previous postA letter to Shane. Next postPfizer.. another pharmaceutical company getting away with murder? Only just read this terrible story. I suffered depression after being diagnosed with Epstein-Barr ( old man’s glandular fever ) in March 2008. My G.P put me on Citalopram, and I suffered suicidal feelings. I was told to take the medication at night and this should solve the problem. I apparently gradually experienced a ‘high’. and to cut a very long but heroically exciting story short (including attempted arrest, arrest, and escape ! ),I ended up spending nine weeks in a secure psychiatric hospital with a diagnosis of bipolar and my married life all but destroyed. Am now on drugs for the rest of my life. I was told the condition was probably hereditary. Noone in my family was bipolar. I now have to reapply for a driving licence every year and the stigma will always be with me. Nothing’s secret where I live. I lost nine weeks of my freedom, and noone’s to blame. The drug manufacturers and G.P’S are all in a huge cover-up operation. This drug should be stopped and others like it. Thanks for taking the time to write. You are one of the lucky ones..you survived citalopram. I hope your family will understand in time that the drug is the problem and not you.